Grevillea silk oak is an evergreen tree to shrub with slender needle-like leaves and curled flowers. The Australian native is useful as a hedge, specimen tree or container plant. In most USDA zones, the only way to keep this plant is by growing Grevillea indoors. This plant thrives outside in areas like southern California and requires plenty of bright light and warmth. In cooler climates, container-grown Grevilleas may be brought inside in fall and returned to the patio or yard when temperatures warm in late spring. Discover how to grow a Grevillea houseplant so you can enjoy the graceful form and colorful flowers as an attractive accent plant to your home. There are over 250 species of Grevillea and new cultivars are introduced to nurseries and specialty plant markets every year. Smaller forms do best as container grown Grevilleas. Grevillea thelemanniana and G. rosmarinfolia are perfect potted varieties. The tubular curved flowers come in various hues of red, pink and yellow. 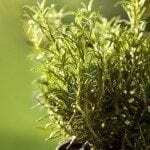 The leaves resemble some types of rosemary and have a slightly wooly coating on grayish green foliage. Grevillea requires temperatures above 45 F. (7 C.). It is not a frost hardy plant and should be brought indoors where temperatures freeze. Growing Grevillea indoors may be the only option for northern gardeners to enjoy this spectacular blooming plant. Small trees are perfect for large containers and many types of shrubs can be kept pruned to a small enough stature for other potted situations. Caring for Grevillea plants indoors entails a good planting mix at the beginning. A combination of loam, peat moss and sand ensures drainage, yet, some moisture retention. Grevillea plants can withstand periods of drought but perform best when kept moderately damp. Choose a container with enough depth to allow roots to spread a bit, as the plant gets comfortable in its potted situation. The width should be at least 2 inches wider than the root width of the Grevillea. Place the container in a bright window with plenty of air circulation. Average indoor temperatures are usually suitable for growing Grevillea indoors. Prune after the plant flowers. Cut back flowering ends to the next growth node. Keep the soil moist in the summer but only water once a month October through April. Use a granular plant food worked into the soil and then watered in. Feed in April and once per month until fall. Choose a low phosphorus formulation. You can tell if the formula is low by looking at the middle number in the plant food, which is phosphorus. Watch for pests and use an organic pesticide to handle small infestations immediately. Read more articles about Grevillea.